The Beatles 50 Years Ago Today: May 28, 1968. Beatles Radio: The Beatles, Solos, Covers, Birthdays, News The Fab 4 and More! 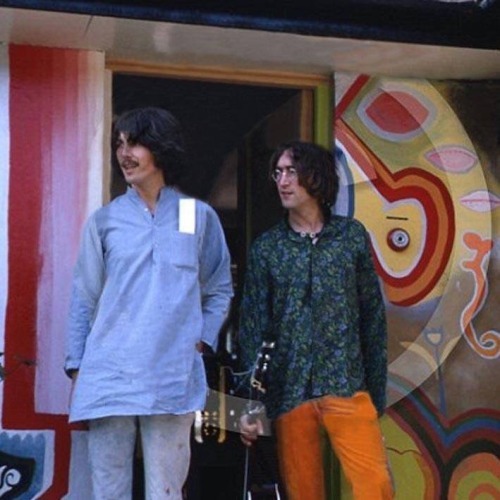 Very rare shot of John Lennon and George Harrison together at Kinfauns in Esher. Restored and repaired. Taken by a visiting fan.